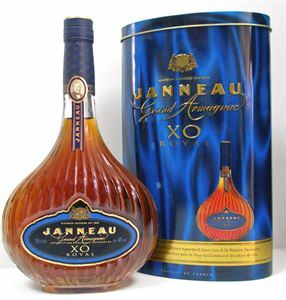 A blend of several Calvados varieties from the Pays d'Auge aged between 8 and 15 years. 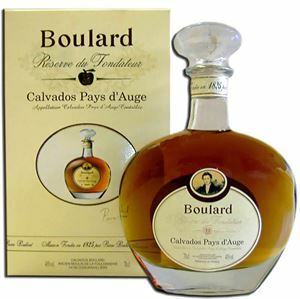 A blend of old and elegant vintages from Boulard’s Calvados reserve, with a delicate nose, rich aromas with a generous bouquet of ripe fruit and sweet apples and a long, elegant flavour with floral notes. Busnel uses almost 8kg of apples per bottle and more than 20 apple varieties to create Calvados vintages and blends. 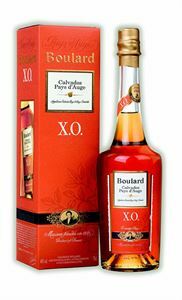 Each bottle of blend is marked by the age of the youngest Calvados vintage used in the blend. A fine product from a single distillation process, Busnel Millesime 1988 is a perfect calvados with a full and clean apple flavour. Renowned for its balanced, full palate harmonized with a characteristic persistent finish and a perfect level of maturity.